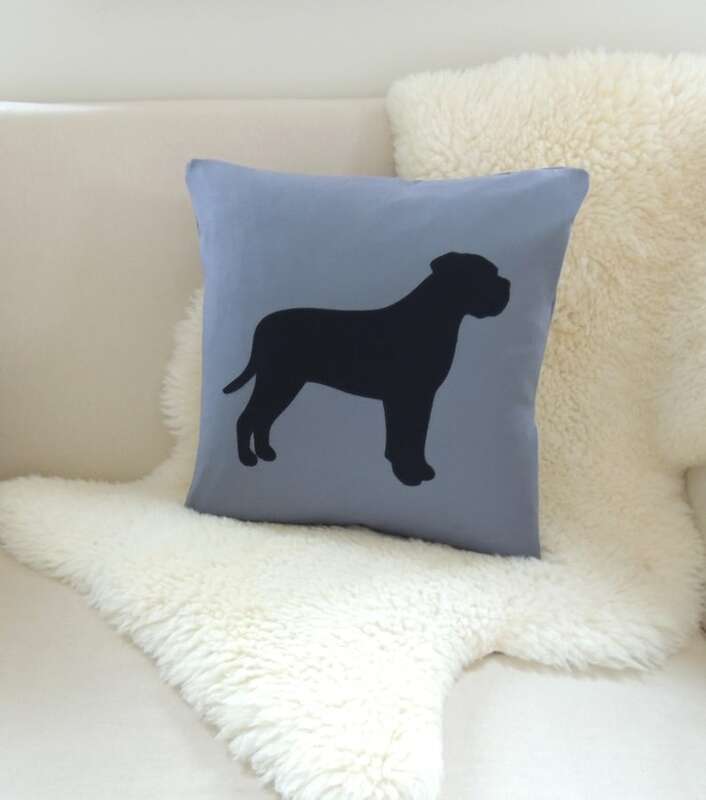 This English Mastiff appliqué pillow cover celebrates your trusty sidekick and adds a modern layer to your interior space in dark gray and classic black. 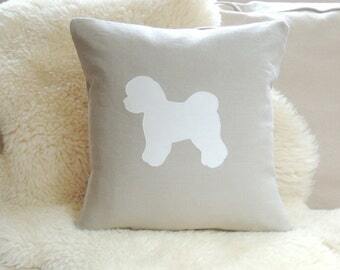 18" square cushion cover. Customize the background fabric in navy blue, poppy red, light gray, mustard yellow, white or a flax beige linen (photo 3). Choose the Mastiff in black, navy blue, chartreuse, grey, dark charcoal gray, bright pink, ivory or white. Fabric: The background fabric is soft, premium broadcloth cotton. The beige background fabric is linen with that fabulous rustic luxe texture. Each silhouette is hand-cut and machine finished with a coordinating zigzag stitch for a polished silhouette. Seams are double-stitched and secured with a zigzag stitch for a durable, professional finish. Fully lined. French style envelope closure. Old English Mastiff Pillow Cover. Design & Images © Vixen Goods. All rights reserved.